Tom Brady hasn't officially told the Patriots he'll be back for the 2018 season, but all signs point to him returning for a 19th NFL season. The New England Patriots' schedule for the 2018 regular season was officially released Thurday night. What's Tom Brady Been Up to This Offseason? See what everybody's favorite Patriots quarterback has been up to since the Super Bowl this year. Week 1: Sept. 9, Patriots vs. Houston Texans at 1 p.m.
Week 2: Sept. 16, Patriots at Jacksonville Jaguars at 4:25 p.m.
Week 4: Sept. 30, Patriots vs. Miami Dolphins at 1 p.m.
Week 7: Oct. 21, Patriots at Chicago Bears, 1 p.m.
Week 10: Nov. 11, Patriots at Tennessee Titans, 1 p.m.
Week 12: Nov. 25, Patriots at New York Jets, 1 p.m.
Week 13: Dec. 2, Patriots vs. Minnesota Vikings, 4:25 p.m.
Week 14: Dec. 9, Patriots at Miami Dolphins, 1 p.m.
Week 15: Dec. 16, Patriots at Pittsburgh Steelers, 4:25 p.m.
Week 16: Dec. 23, Patriots vs. Buffalo Bills, 1 p.m.
Week 17: Dec. 30, Patriots vs. New York Jets, 1 p.m. Earlier, NBC10 Boston's Raul Martinez pieced together a sneak peek at the schedule based on various reports. The Patriots' preseason schedule was released last week. They will host the Washington Redskins and Philadelphia Eagles at Gillete Stadium in weeks 1 and 2 and travel to play the Carolina Panthers and New York Giants in weeks 3 and 4. 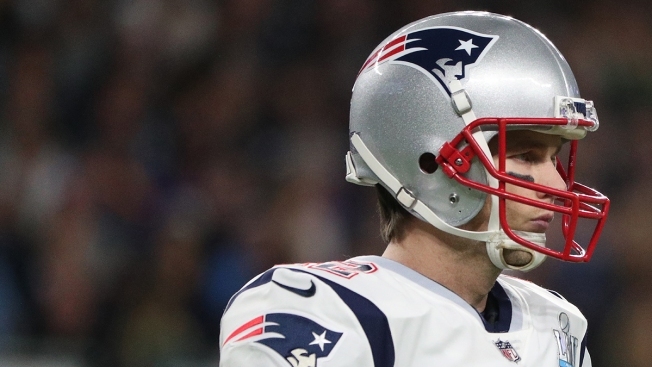 The Patriots ended last season with a bitter Super Bowl loss to the Eagles. Their regular season record was 13-3.